Happy May Day! Welcome to the latest in the Races on our Radar series, where we report on cool and/or low-cost races, group runs, price and registration deadlines, and other things we think you should know about it. We would like to you hear from you, too. If you’re in the know on a race that you think others need to check out, be sure to let us know with our contact form. Tell us what you love about it and be sure to include a link. Please check out the Sam Day 5k coming up on June 23. The race is held on that day because it’s the birthday of a little boy name Sam who died in 2016 before starting his freshman year at Sunset High School. The race raises funds for research into treatments for rare pediatric cancers. I’m posting this because a runner-friend of mine who leads the Bethany Runners Unite group run each Saturday has a beautiful kindergartner who is battling brain cancer, and this is one way you can show your support. The race starts at 8p from Sunset High School, following a kid’s run at 7:30p. The 5k is $35 and the kid’s race is $15. It is a chip-timed race with a race shirt, medal, and goody bag. The Run Moore! High Desert Hospice Foundation 5k/Kids Run is on Saturday, May 5 in Klamath Falls. The 5k is $15 and the kids run is $10, online registration closes at midnight on May 4. In Silverton on Saturday, you can run in the Victor Point Run for the Hills 5k for $20, the 10k for $25, or the 15k for $30. There’s also a kids run for $10. Head to Corvallis on Saturday to run in the OSU CVM Pet Day 5k, which is only $20, but online registration closes at midnight on the 3rd. Run at the Oregon Coast on Saturday in the Loyalty Days Run 2-miler for just $10. The run is in Newport on Highway 101 which is closed for the Loyalty Days Parade. On Sunday, the Moore Park 8k in Klamath Falls is only $5, starting at 5:30p. 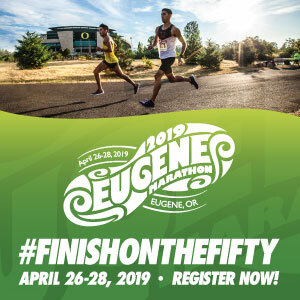 The Peace Run 5k in Eugene on Sunday is $20 if you sign up online before midnight on May 5th. Coming up on May 12, the Silverton Health Fun Run 5k is only $15. There’s also a kid’s run for $5. The Banks Linear Trail Run is on Saturday, May 19 in Banks, and there is a 10k and 5k for just $20. This is a flat race and I’ve always run good times there, so if you’re looking for a fast course to test your speed, this is it. Another Portland Parks & Recreation $5 5k is coming up on Sunday, May 20 at Lents Park. The Sunday Evenings 5k in Beaverton is on Sunday, July 8. Registration is only $5 when you sign up before June 24. What a deal! Go Beyond Racing’s Summer Portland Trail Series registration is now open. The series is comprised of 5 races (July 11, July 18, July 25, August 1, and August 8) and all of them are run in Forest Park. The entire series is only $75, which works out to only $15 per race! Registration closes when full, or on July 1, whichever comes first. The Hood to Coast Pacific City is this Saturday, May 5, so keep an eye out for runners on the road and cheer them on! Run Oregon is being represented by a team from Sunstone Running Club, who will send us a recap after their race. The Hero-Up Half Marathon/5k has opened registration for their 2018 race which will take place in Tigard on September 1. The half is $65 and the 5k is $30, both races will have a price increase on July 19. This is a really fun race that raises money for research into treatments for children’s cancer. One fun race that seems to always sneak up on me is the Alien Abduction Dash 5k & Kids Run. 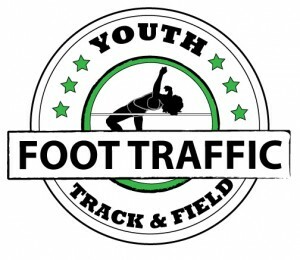 The date for this year is May 19th at 9a in McMinnville, and the 5k is $25. The kid’s run is 1.5 miles and is $15. On May 11, there’s a price increase for the 2018 Hippie Chick. It’s your last chance to save a little money before DOR registration. The quarter marathon is $80, the 15k is $90, and the half is $95. DOR, prices are $85, $100, and $120, so if you’re planning to run that one, sign up now! Another price increase coming up is for the Grapes of Half Half Marathon. Register before race day for $60 (still a great price for a half) or DOR for $70. The race is on Sunday, May 20 at Noble Estate Winery outside of Eugene. The Grateful Dad Half Marathon, 10k, and 5k also has a price bump coming up on May 9th. Sign up before that for $69/$54/$39 respectively and save yourself $5. That’s what we’re watching this week! Let us know what you’re keeping tabs on and have a great week.